Imma 'bout ready to get me some weekend! How's your Friday, ladies? Hanging in there okay? Well the good news is your 5 o'clock happy hour is right around the corner! It' been a stinking long week, and I'm looking forward to getting away for some R&R! As per the usual, I am going out of town to Wichita for wedding related events (yes, again), but I am really looking forward to the tea party themed wedding shower we're throwing Sunday afternoon... fun! Yup. Pretty stinking excited for my weekend to get underway! I know it will feel so good to be home (as always), see my Daddy, catch-up with Juju (mom) and sis, and just love being home. Catch you Monday - be ready to Mingle! Let me personally welcome you back to the work week - in need of a cocktail yet? Super sorry on my tardy post today, I was visiting my rheumatologist this morning and had meetings until now! No worries, I didn't forget you! So tell me, how was your weekend? Any juicy tidbits to share? Fun happenings?! I enjoyed the weekend by spending some quality time with lots of different girlfriends! 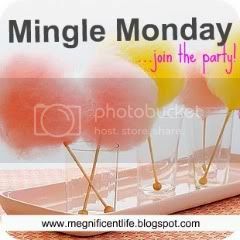 Please spread the word about Mingle Monday today! I will love you forever! Promise. Can't wait to hear all about your weekends and visit your blogs to catch up!! Impossible. 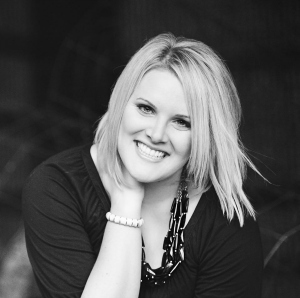 I am excited to see what wonderful blog posts I've missed on all of your blogs and find some new friends myself! Who's excited? I've missed you bloggeristas so much!!! Hope your Monday is stellar! Helloooooo weekend! Oh how I've missed you! It's been quite a long time since I've actually been both in town and not entertaining visitors when I am! Don't get me wrong, seeing friends and family over the last month has been a total blast, but I am really excited to get my life back in order and simply relax for a bit. We're helping a dear friend of ours move into her new home tonight, and I am helping a work friend of mine move tomorrow after Zumba class. Other than that, I plan on doing nothing! Bliss! Okay, well I take that back. Perhaps I should tackle the Mt. Everest of laundry piles in my closet and then relax? I am hoping my weekend is filled with outdoorsy evening on the patio with a glass (or two!) of wine, hanging out with my fluffy puppy, and spending time with some of my favorite people. Can't wait to see the U.S. Women's team DOMINATE the World Cup too! USA USA USA! Yes, that's right, a must watch! It is official... I'm addicted! How many of your fabulous ladies are on Pinterest?! I was recently introduced to the beautiful world of pinning, and now I can't get enough! Ah - love it! What is Pinterest you ask? "Pinterest is a virtual pinboard. It lets you organize and share all the beautiful things you find on the web. People use pinboards to plan their weddings, decorate their homes, and organize their favorite recipes. Unfortunately Pinterest is by invite only, so if you would like an invite leave your e-mail address in your comment and I'll send you one! If you're on Pinterest already, I'd love to see your boards!! Leave your Pinterest URL in the comments below and I'll visit!! You can find me HERE or by typing in www.pinterest.com/lifeofmeg.